Feeling chilly and don't want to turn up the heat? Here's a cheap and easy alternative to heating a small room - tealights and flowerpots. By positioning two flowerpots over four tealight candles in a bread baking dish, you can heat a small room or office. The gap between the two pots enables a flow of air that then passes warm air around the room. We have friends who have tried this method and it works well. Be aware that the baking dish and pots will become VERY HOT! DO NOT TOUCH THEM without oven gloves whilst the candle is alight. NEVER leave a naked flame unattended. Blow it out before you leave the room. Be aware that paraffin is toxic - you need to ventilate the room if you try this out. Tealights are fossil fuel based - this idea is just a start. Let's get creative - consider making beeswax tealights or using coconut oil. We will be posting new ideas every day so do please drop by again! Because of the parrafin in tea lights their fumes are very toxic. Use soy or beeswax candles for your health. Where I live in Canada I can buy tealights for 4 cents CDN each. They last about 4 hours (any longer and they're not burning properly). So for 24 hours I need 4 tealights x 6 = 24 tealights = $0.96 per day. One candle flame is worth about 40 watts (that's generous, tealights usually have small flames), so four will give me 160 watts. At my current electrical utility rates it costs me about $1.20 per year per watt. That's about $0.52 per day, or half the cost of the tealight trick. Keep in mind we don't use electric heat in Canada, it's too expensive, we use natural gas which costs about half of electric heat right now. Therefore heating a room with tealights costs me about *four times* as much as my good old basement furnace. No thanks. If you listen to him, he says he heats his room for 8 hours a day, not 24. Total cost per day = $0.32. Cheaper than your $0.52 average daily utility bill. Sounding clever doesn't work when you don't bother to listen in the first place. Comparing ANY energy source that costs money means, by definition, that you are not in control of your own survival energy source. There are only three natural fuel sources. Thermal, Solar and Fossil. Electricity is processed energy, and tho natural, Fossil fuel is also mostly processed. You don't need and should not use processed energy. Humans have been surviving with natural energy for as long as we have been building fires, without reliance on any outside processed energy form. We can do it today, if we just look past 'big energy' technology. One of the things that ALL antique cultures relied on in moderate to extremely cold climates was MORE heat retaining outerwear. Wool clothing, while not necessarily culturally popular, still is the absolute best thermal transfer barrier we have ever had. Wear wool underwear (long johns) and wool shirts and pants, as our ancestors did, and you cut your heating resource requirements by 2/3rds. If you live in a hot climate, wear cotton, not blends. Build with, and burn recycled materials you find around you everyday. In 2 to 3 weeks you can collect enough reject (thrown away) lumber at major construction sites to build a small house. You might have to pull some large nails, clean it up, cut and glue some together, but you should never have to pay for lumber. I have a friend who built a 1200 sq ft 2 bd, 2 bath hours out of the re-purposed lumber from free pallets. Took him 6 months to collect and make 2 x 4'x out of the pallet slats. He also collected thrown away (garbage bin) lumber from construction sites. Everything else in his house looked brand new when he moved in, but every piece of material down to the terracotta tile was re-purposed waste material. (But that is a whole other story) Every building material and window manufacturing company out there will donate mis sized, mistaken color, broken or other material mistakes given the right incentive. My friend taught construction skills to wayward teenagers and in the process got labor and materials donated. I donated to his project, which is how I got to know him. Wick lamps will burn almost any raw natural fuel, and they are by far a better light source than electricity. Ask your Dr. how much damage to your retina is directly attributed to emission of excited electron beams generated by electric lighting. You will shut down your connection to the power grid that day. Also ask your Dr. how much disease can be directly attributed to exposure to very high energy power lines. You will pack up and move at least 15 miles away from the nearest power grid transmission lines. My recommendation is 30 miles from any power grid transmission lines. The bleed off from 44,000 volts (most grid power lines) is dangerous, life threatening and harmful to your children's future. I grew up reading from the light of coal oil lamps. Didn't hurt my eyes or education any. Need to stay connected to the information grid? Set up a small solar panel array to recharge your battery packs that run your computer-tablets -cell phones. But don't power much else in your house with any form of electricity. The truth is you don't need it, and its disastrous effects far outweigh the benefits. For example, the idea that you NEED a refrigerator is silly on the face of it. We have been living for hundreds of centuries with managing our consumables in a more efficient manner than sticking them inside an electrified environment for a serious length of time. Bake bread fresh every couple of days and you don't need a bread maker to do it. If it gets hard and dry before you use it up, wrap it in a damp towel and stick it in the wood burning stove's oven for a couple of minutes. Everyone will think it was just fresh baked right then. Again, we have been baking bread for meals most of our generations of ancestors into the dim dark hoary past of our existence. Never had a refrigerator to handle a bread storage problem up until the last 60-70 years or so. Now you think cold storage is essential. It's NOT. I grew up off grid, didn't effect my learning, socialization skills or earning power. I have no formal education past the 8th grade, but went on to found and run a highly successful technical engineering company servicing Fortune 50 companies. Your inherent dependency on processed fuel, material and food is a kind of slavery that is designed and managed to hold you in the tight grip of serfdom. It is also dangerous and unhealthy. Just get off the grid. Today, if you can. The day to day actual cost of living off grid, growing your own food, including a hen house and a milk barn is down to the very low hundreds of dollars per month compared to the thousands you are spending now. That is, if you recycle and re-purpose everything. It really is a whole lot simpler than you think. Where do you live Georgie33? I live in Canada and have been in many provinces and yes, electric heating is very common and widespread and in some provinces, less expensive than other sources of heat! Okay, my thoughts are this - I read this as "how to take the chill out of a room" not - "how to heat my whole house for the whole winter when it's sub-zero". I think for a quick warm up - this is great - candles are cozy too! Sometimes in ME we just need to take the chill off - we keep our house very cool/cold, to save money. So, on the days that I don't feel like baking, I would try this for sure! Thanks for sharing - worth a try!! "If you listen to him, he says he heats his room for 8 hours a day, not 24. Sounding clever doesn't work when you don't bother to listen in the first place." Who's not bothering to listen to others, darrenhuseyin? georgie33 says that you need 24 candles for 24h/day heating, so $0.96/day. He then says that an equivalent 160 Watt electric device would cost $0.52/day IF TURNED ON 24 HOURS A DAY (actually 0.526, at $1.2/Watt·year). If you turn on the heating 8h/day (not 24h), then of course the cost of candle heating will be 1/3 the amount given by georgie33 ($0.32/day), but SO WILL BE the cost of electric heating ($0.175/day). Tea Lights from IKEA? And what do you think the orangutans who lived in the rainforest that grew on the Indonesian land that now grows the palm oil trees think about that? Tea lights to heat a room - beware! I used this method to keep the chill out of my greenhouse last winter as I no longer wanted to use paraffin heaters and had few affordable alternatives available to me. The greenhouse was lined with bubble wrap to insulate. It worked a treat and I was able to raise a number of plants. HOWEVER - there is a huge downside to this method....SOOT. The greenhouse was filthy at the end of the winter and everything that was in there was covered in a thin veil. I would not want this in my house / living area so would carefully consider before I opted for this. I'm a big fan of Permaculture Magazine, but this article falls well below your usual standard. It's bad advice. Firstly, energy is energy is energy. Burning 1kg of candle wax releases around 13 kWh of energy. This much electricity costs around £2. Are the candles you're burning less than £2/kg? Unless they are then this is more expensive than heating with electricity (and much more expensive than heating with gas). Secondly, if you are using super cheap candles they are they are likely to be made from imported palm oil, grown at the expense of rain forests and orangutans. Finally there are indoor air quality issues and the increased fire risk of having candles burning routinely. Seriously folks, this is a bad idea and not one I'd expect Permaculture Magazine to promote! Sadly, you can only get as much energy from the burning candle with 50 flower pots attached and a hardware store full of ironmongery as you could from the naked candle. Bugger all. The only difference might be that more is radiated towards you from the outermost pot than from the naked candle, and less lost by convection to the ceiling. If the heat output of your candle is 10 watts, 100 of them will match the lowest output of a fan heater, 1KW say, and that might be enough to heat a room. What an exciting idea! I experimented like many of you with different pots and stuff, but have now found this http://www.ebay.co.uk/itm/301023185090?ssPageName=STRK:MESOX:IT&_trksid=p3984.m1561.l2649#ht_0wt_0 and they also sell just the pots. Perfect for my glasshouse! I'll let you know how well they work. Mine went up in flames in a major way- So dangerous! It was going fine then started making a phut phut noise. It was placed on a heat mat on a tiles floor. Scientifically, I have no idea why this happened. The candles were previously unused and yes, ikea. The loaf tin and pots were new too. I have a photo but can't upload here. 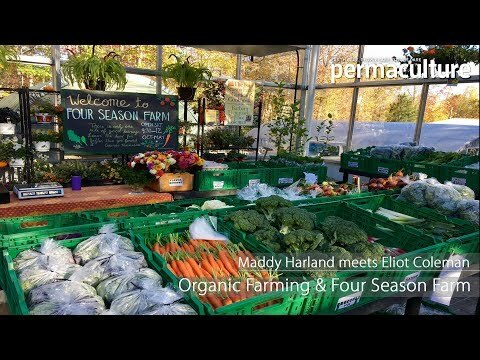 Learn from the D Acres Farm on how to set up a community permaculture farm. From marketing and budgeting, to land management, designing and building.